What Types of Angles & Arches Are the Strongest? By looking at historical monuments that were made decades and even centuries ago, it is apparent that the ancient builders had an advanced knowledge of angles and arches. The builders had to know the right shape to create such a structure in order to keep it sturdy through the test of time and how to reinforce the structure with angles and arches. Knowledge of the strongest shapes and arches is necessary when faced with the task of building any free-standing structure. The St. Louis Gateway Arch exhibits one of the strongest types of possible arches. Defined as an arch with two centers and continually changing radii, you can see an an elliptical arch in many structures, such as the arch of a doorway to a house or the arches found on a water bridge. In brick masonry, it is regarded as one of the strongest arches. The catenary arch is regarded as the strongest arch in supporting itself. 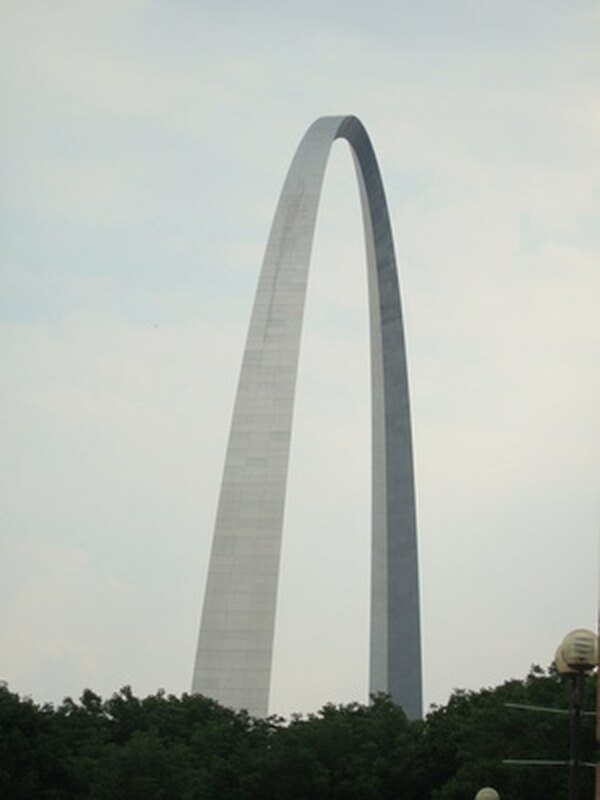 The St. Louis Gateway Arch is a catenary arch, according to Great Buildings. Built in the 1960s at 630 feet both in width and at its base, it has been standing for more than 50 years, as of 2011. The catenary arch is defined by its shape, which resembles a hanging chain. 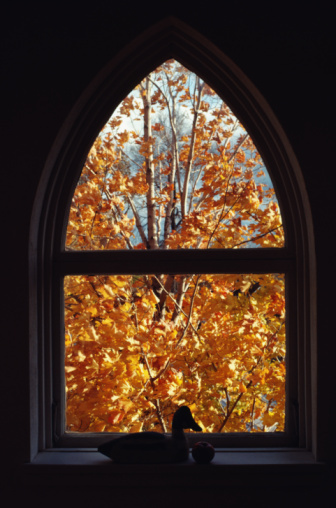 Shaped like a natural oval, stone masons regard the parabolic arch as the strongest arch of all. In this arch both ends are mounted in a fixed bearing, while the arch has a uniformly distributed load. In technical terms, in the parabolic arch "only normal forces and bending moments occur but no shear forces," according to G.U.N.T. Hamburg in "Parabolic Arch." The artist Gaudi was known for his use of parbolic arches in his work, reports Artchive. In shapes and angles, the triangle is often considered the strongest shape since all the angles are fixed and connected to another point. While all polygons have this same characteristic, the difference in a triangle is that its angles are not subject to change as are other polygons. Triangles are often used to strengthen other shapes, especially squares. By adding a diagonal angle, essentially a 45 degree angle, the square is then made up of opposing triangles and are much stronger. To make any shape stronger, connect the points with supporting angles, primarily 45 degree angles. In the end, the shapes comprise several small triangles. Why Are Triangles Used in Trusses? What Are Different Types of Domes?